This summer at Fuzzy Math, we are exploring the impact and interactions of wearable technology as each member of our team participates in a three-month-long project to explore the ins and outs of these devices. This endeavor will be broken down into three phases: 1) first impressions and getting to know one’s wearable device, 2) empirical evidence and applications for it, and 3) design principles for each category of devices. This summer-long study is comprised of three separate category groups for the sake of tracking and analyzing data and findings. These groups are activity, awareness, and sleep. For more information, read our introductory post on this project and follow @fuzzymath on twitter, hashtag: #fmwearable. The morning mirror gathers data about the unknowns of sleep. It is sometimes cruel. You’ve just spent a half-dozen slumbering hours, face molded to the corner of the mattress, spinning a dream about your award-winning breakdancing routine in an aquarium before you unfold the wrapped covers and stumble towards the mirror to see the effect of the night. And the mirror bluntly gives you the data: your clothes are (quite) different than when peacefully retiring the night before and now the skin of your face has the dents of the Roman Colosseum. Unfortunately, the mirror can’t give you the other data you’ll later discover: that the moonwalk really doesn’t look that great underwater. But you trust it because you see it. What else can you see about your sleep? 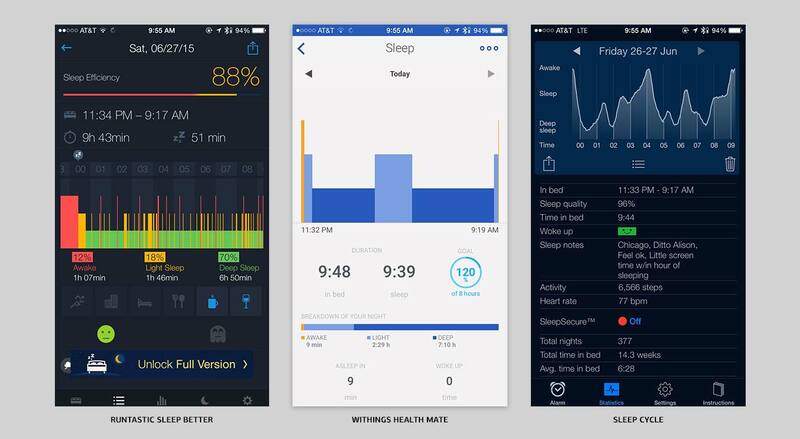 What sort of insights can be gathered about your sleep from a device you wear that might be able to see for you? This summer, I’ve been particularly interested in sleep and the devices that tell us something about our sleep (and in general, the unknowns of our life). Through Fuzzy Math’s #FMwearables project, I joined the “Sleep” group in order to explore the factors in my life that affect my sleep and also to explore what data is valuable about this mysterious one-third of our lives that we live with our eyes closed. 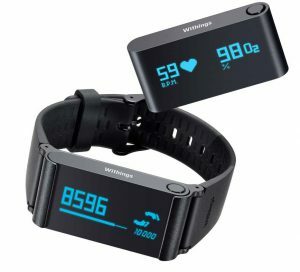 Accordingly, I’d like to introduce you to the key advantages of the Withings Pulse O2 and share some of my impressions and expectations. When sampling potential devices, those with more than just sleep tracking stood out to me because (being already interested in self-tracking) I first and foremost wanted flexibility. If I was going to explore a wearable, why not consider something with many features? 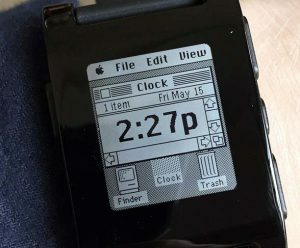 The Pebble Watch was an initial draw because of its interesting app store, notifications, and simple use of buttons for affordance and forward/backward navigation. It reminded me of a much, much smarter Casio watch (nostalgia be damned, as one watch face even mimicked “Classic” Mac OS). I did find a sleep tracking app, but the data only showed the previous night’s sleep and could not be exported in any way. 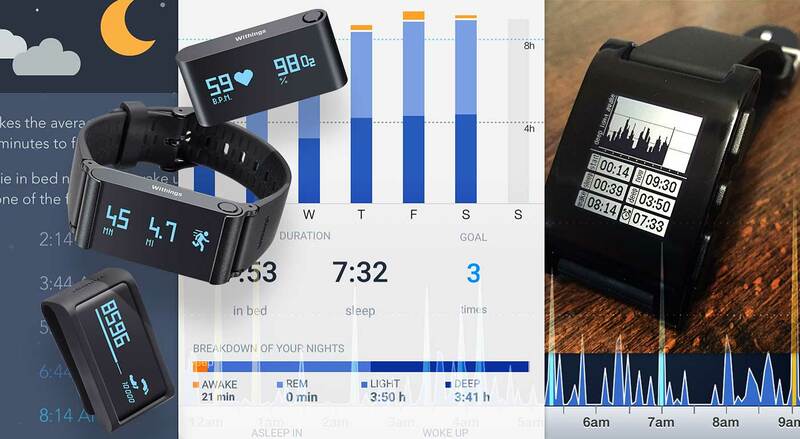 I also looked closely at the Basis Peak and the Jawbone UP3; however, the Pulse O2 offered some clear advantages with its versatility including: 1) Activity tracking and “instant” vitals signs readings, 2) Flexibility with the data, and 3) Flexibility of the wearable format. Tracking steps and distance can be done on most smartphones with an app (e.g. Moves for iOS). Even sleep tracking (through Sleep Cycle on iOS) and heart rate (through Runtastic’s Sleep Better iOS app) can be tracked, but blood oxygen level and elevation were unique. Nevertheless, having all of them in one device with a battery life of up to two weeks is a great deal. 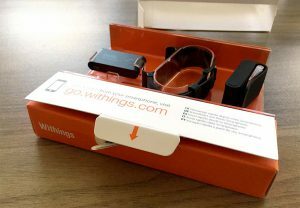 The ability to view tracked information on the device, my smartphone (via Withings Health Mate app), and online at healthmate.withings.com was a major influencing factor. The clinical detail of the information design suggests a level of specificity that seemed unique. 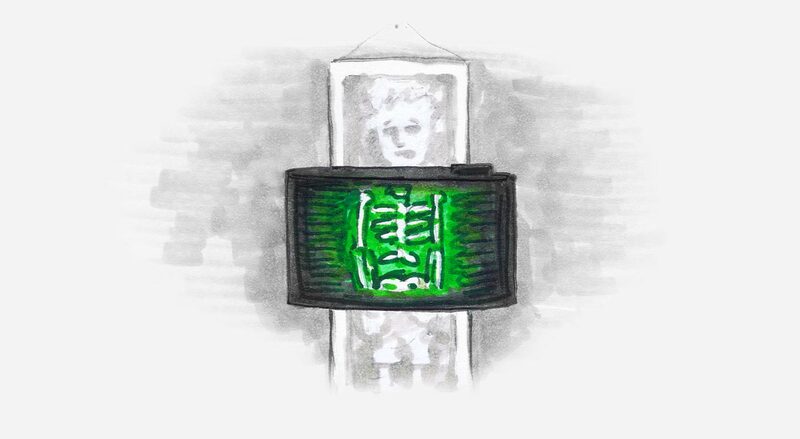 Since I expected to be able to discover many insights on my own by looking at the display of data, I was less attracted to platforms and apps that I couldn’t interrogate freely. 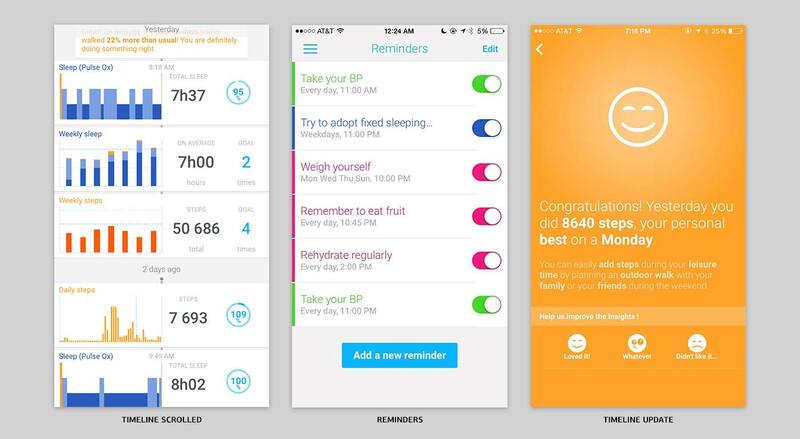 The device supports bluetooth syncing with the Health Mate app in the background (hold the single button on the top for three seconds to force a sync) and has many ways to engage with the information. It defaults on a timeline view showing the overall day’s step count and recent data that was imported. This helped the app feel like it was always up to date and keeping track of things for me. The package came with an adjustable wristband and a belt clip, but the key element of the Pulse O2 is the small tracking device you can wear freely, which I later discovered was referred to as the “domino.” The domino is a slightly rubberized, matte black plastic. On one side is a display that is activated by the button on the top, and on the other side are two sets of lights and a small, square, black sensor. The size of the domino is satisfyingly small and acts as an easy substitute for all your spontaneous coin-toss needs – it even fits easily into a coin pocket. It’s also terrifyingly small, which means leaving in your coin pocket guarantees a toss in the laundry that would not land happy face-up. The domino is almost entirely symmetrical with the exception of one button, protruding slightly from one side. I have to memorize that it’s on the top right when looking at the display as this is the only way to orient without looking at it. A physical button gives immediate, satisfying feedback that somewhat makes up for the fact that it’s the only way to turn on the display and check the time. However it does not at all make up for the fact that the display is still nearly impossible to read in the daylight. After activating the display, a lateral swipe interaction flips through past days’ records for each selected category. The small and adaptable domino as a tracking device is a huge benefit. I’ve dedicated each new week to trying out one of the variations for how to wear the Pulse, beginning with using the wristband to wear it as a watch, wearing it clipped to my belt, and then just carrying the domino itself in my coin pocket. None of the formats have been particularly difficult to maintain. The wristband is more noticeable and I occasionally adjust it, as I did today when I abandoned it for a few hours and put the domino in my shirt pocket. At the end of the day, with activity trackers like the Pulse O2, there can be an expectation that the insights will immediately tell you what you must do in order to get better sleep or better activity in your days. After all, crystal clear insight is one of the hardest things to generate from any kind of data. However, the fact that these devices attempt to penetrate the relative unknown of something like sleep and present simple, honest data and trends makes them worth exploring and using. If wearable sleep tracking is predicated on the most fundamental elements that we know about sleep, that movement – more precisely of our brain waves – might be signaling qualities of restfulness or efficiency (or more that it is likely a major part of our consolidation of memory and learning), it’s important to remember how little we actually know about sleep. Thus, the realm of wearable technology in sleep is still very much in its nascent stages. Someday we may wake up envisaging the glaring insights about sleep and its affect on us. Until then, it’s worth exploring that unknown through wearable devices like the Pulse O2 as long as they create a compelling experience for people and clearly disclose their limitations. Read more of our #FMwearables write-ups and sign up for our newsletter to be the first to receive our wearable design principles delivered right to your inbox!